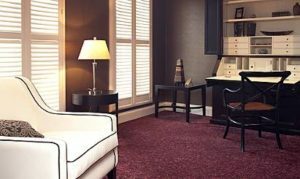 Adelaide Professional Floors has a great range of domestic and commercial broadloom carpet and carpet tiles as well as commercial and residential Vinyl. Adelaide Professional Floors offers the Full in home Mobile Carpet Section Service , or Pop in to Our Boutique Showroom at Edwardstown. Professional service is our aim, from Digital On Site Laser Measuring service , seam layout advice, through to the latest computerized carpet cutting machine (your carpet is never rolled out on a floor until it hits your floor). Ask our competition where they cut their carpet … the answer will be on the floor or on a driveway RISKING DIRTY DAMAGED STAINED CARPET . The manufactures of all carpets insist it be power stretched NEVER USING A KNEE KICKER TO FINISH (ask OUR competitors how they install carpets – their answer will be ‘knee kickers’). Then there is the seaming of the Carpet … WE LATEX ALL SEAMS (you will understand that when you cut a material it starts to fraying SAME THING HAPPENS WITH CARPET). This is why we LATEX ALL CUTS, prior to seaming the carpet. 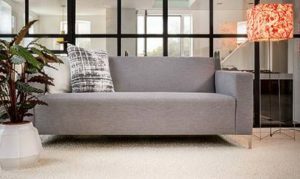 So from the moment you contact Adelaide Professional Floors the carpet selection service and installation will happen with ease and in a very professional old fashion way.